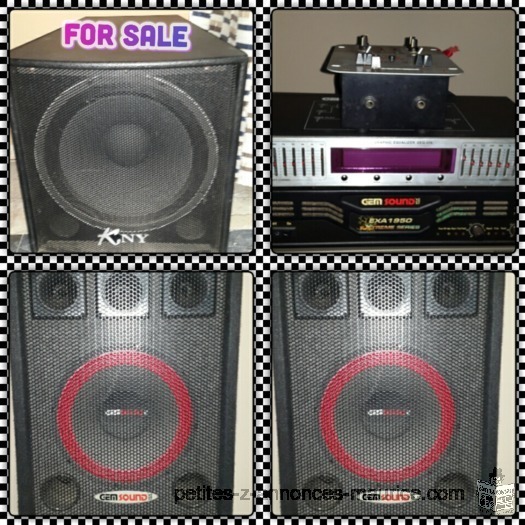 Power amplifier 1950w,Digital Equilizer,Mixer 2panel,1pairs of speaker 400w(GEMSOUND),KNY Bass 500w. Panasonic Stainless Steel Juicer Model No. MJDJ01. 800W Motor. 2L Pulp Container. 1.5L Juice Jug. 2 Speed Control with circuit breaker.Just as new.